Notescraps is a program in the spirit of Tornado Notes (for Dos) and InfoSelect 1.0. 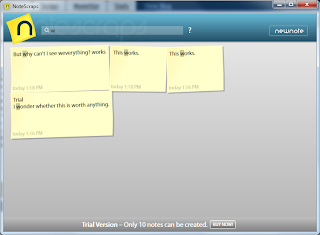 Notescraps is as minimal as Notational Velocity or ResophNotes, but more fun. I think the format is also more useful. It also has incremental search, but the interface allows you to see in one glance which notes are relevant to your search. It's a program for random information. Information is stored in one text file, but the information shows up in little windows looking like paper scraps, just as the early versions of InfoSelect. The scraps are less regular, however, and they can have different colors. The notes adjust in size to their content. You do not have to (or can) manually manage their size. On the Website they say: "The NoteScraps team would like to thank Tornado Notes for meeting this need back in the days of MS-DOS, Windows CardFile for filling in, crudely, during the early GUI days, Microsoft Outlook's notes feature for almost doing the job, Windows Notepad for always being there, and.NET 3 and WPF for finally making it easy to do it right: simple, elegant, and cheap." This is my new note. It will get the default style and the created time will be set to the time it is first loaded. I wonder why InfoSelect does not seem to be able to create something like this (just a little more capable). 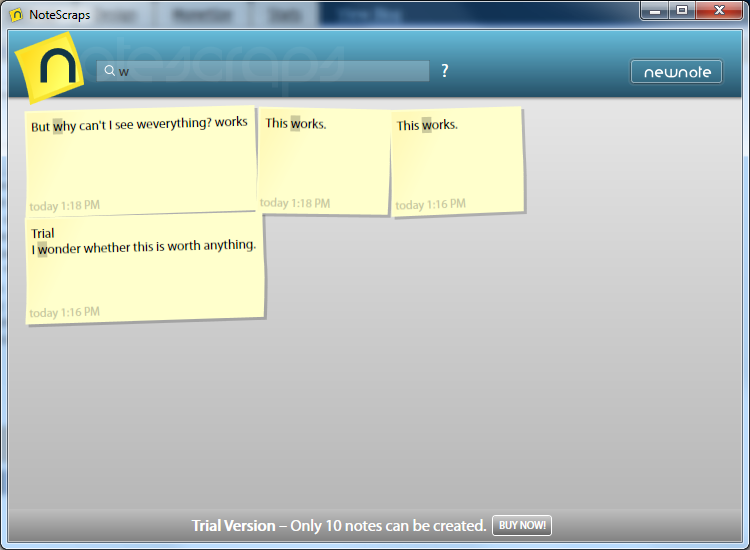 You cannot specify where to save the note file (or if you can, I cannot figure it out). It relies on Microsoft .NET Framework 3.0. 1. I would have preferred if they had straight lines (but I was born and first educated in Germanay). Also take a look at AllMyNotes Organizer - it's created by developer who was working on InfoSelect, therefore it looks pretty similarly to IS and Tornado Notes, though some aspects of the app are bit different. P.S. I'm the developer of the app, but please do not take it as an adv - afterall, the topic I'm writing about is really connected. An entire blog on Note Taking?! You are mad, but in a good way. Adding you to my feedbin.